Accommodation at Sea designs and produces offshore mobile container solutions for use on seagoing vessels, substations, barges and jack ups. 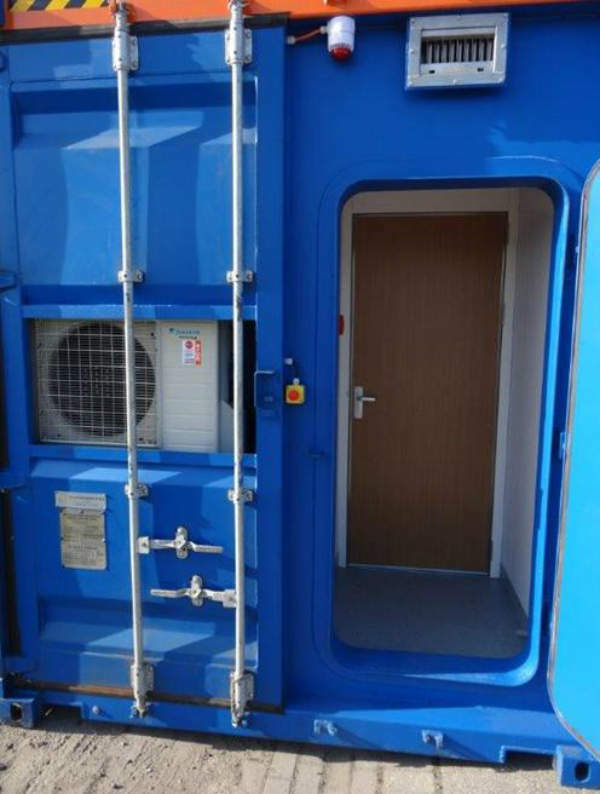 Accommodation at Sea provides specialised stackable temporary containers that are developed to suit client needs. 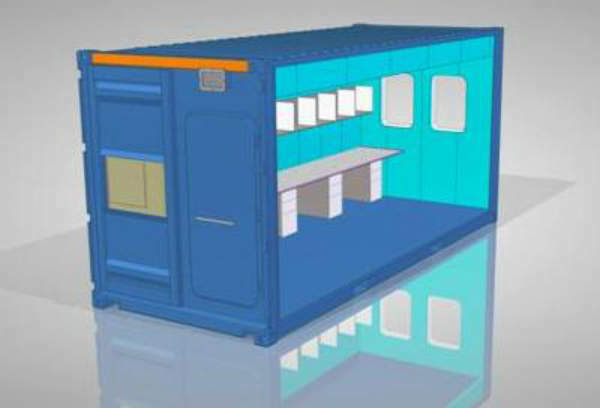 Standard model and bespoke containers can be applied as temporary living quarters (TLQ), office workspace, refuse rooms, laundry rooms, recreation or locker rooms, remotely operated underwater vehicle storage and control cabins. The engineering department designs individual units based on customer specifications using a 3D drawing programme. Designs are then constructed using high-quality materials that have been developed using the company’s own in-house design application. The units are then delivered to the client with class-certification. 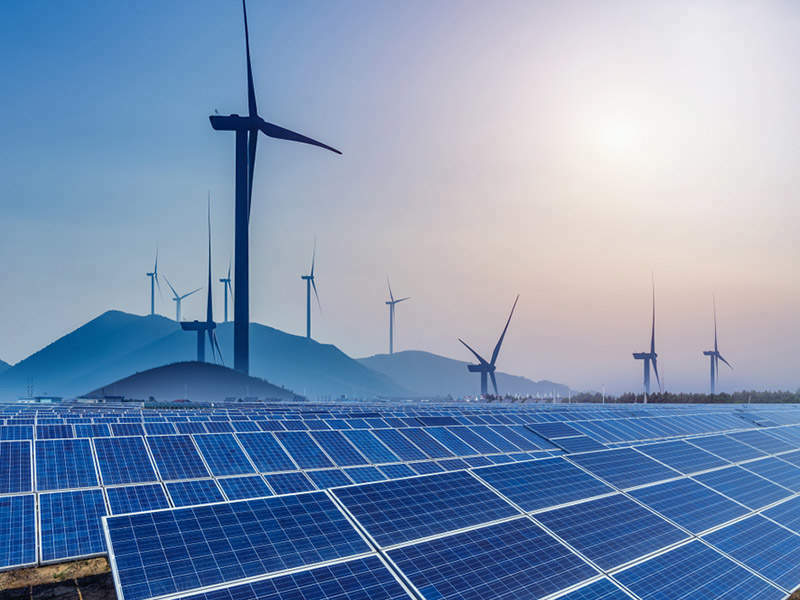 The mobile facilities we offer are designed according to renewable energy industry requirements, making them especially suited for use in offshore wind projects. 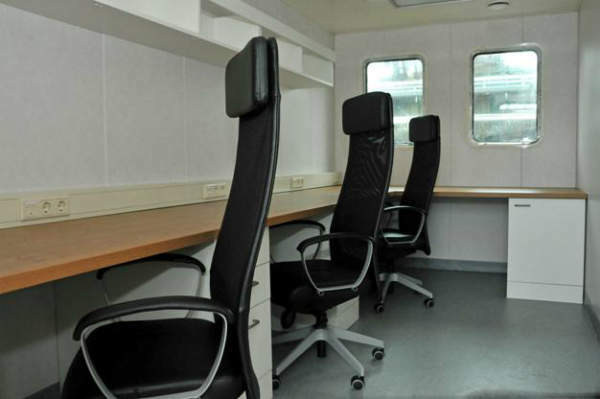 Accommodation at Sea provides a range of standard container solutions such as 20ft office space units with up to four work stations, office units featuring between six and eight work stations, 20ft TLQ units for single or two-bed use with one bathroom. 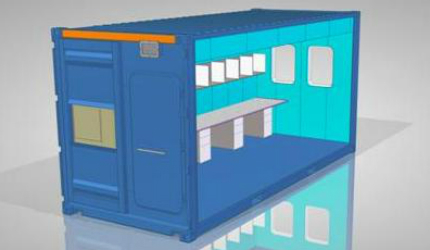 In addition, the company offers four-bed TLQ units with shared bathroom facilities, joint office and TLQ containers including two work stations and two beds, as well as staircases and walkways. Safety is our highest priority, which is why our units are designed and developed according to specifications outlined in the SOLAS Convention. The structure is then combined with comfort and practical efficiency, based on the outcomes of the 2006 MLC. 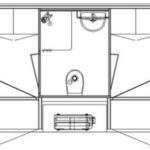 Each unit comes with an A60 fire rating, is class approved and has high-quality safety features, including fire alarms and panels, general alarms, fire dampeners, a PA system and an electrical emergency shutdown. 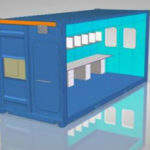 Standard and customised containers are available for sale and standard units can be rented for short or long-term use. Accommodation at Sea containers come equipped with windows, heating, ventilation and air-conditioning for a comfortable working and living environment. Units also feature internet and TV connection points, which can be powered through the 400V / 440V, 50Hz / 60Hz electrical connections. 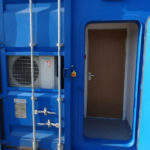 Furniture is available for use in both standard and customised containers. 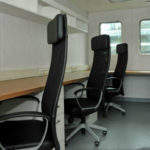 Accommodation at Sea containers can be furnished with bunk-beds, chairs, desks, lockers and sanitary units to suit your offshore housing needs. Containers can also be delivered with CSC or DNV 2.7.1 / EN 12079-1 certificates. 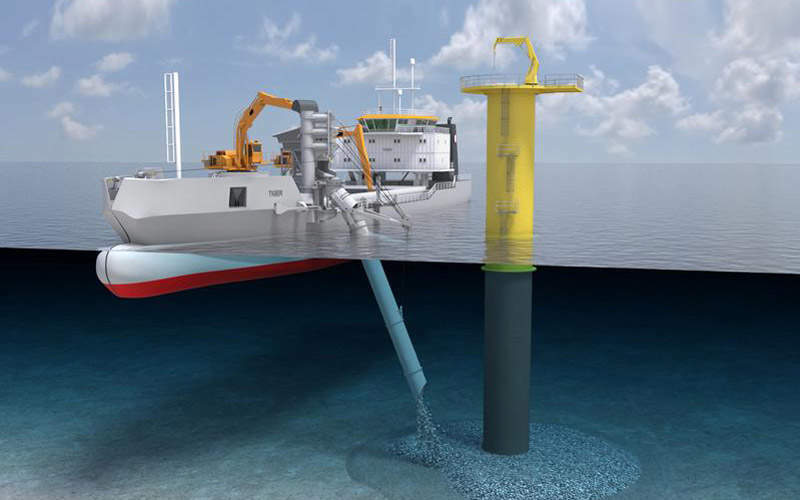 After identifying a gap in the market for offshore mobile-accommodation units, Accommodation at Sea used a combined 20 years’ experience in cruise shipping and the wind offshore industry to design and develop specialised container solutions. Since being founded in 2014, the company has strived to shorten the mobilisation and demobilisation of containers to make units quick and easy to install. The Butendiek offshore wind farm is located approximately 32km west of the island of Sylt and 53km from the mainland, in the German North Sea.